Lone Star Origination is a licensed RMLO specializing in professional and compliant origination of owner finance notes. Lone Star Origination works with investors like you. How can an RMLO help your owner finance business? RMLO services support investors and owner finance buyers, ensuring compliance with state and federal regulations. Services include: taking the loan application, verifying the buyer's ability to repay, and distributing the mandatory loan disclosures to your buyer. We support investors and owner finance buyers and want to help you close quickly and efficiently. Current Dodd-Frank regulations offer certain protections to lenders who create loans that are considered qualified mortgages. Let our company determine your loan's standing and offer advice to adjust your loan if necessary to be covered with optimal protection. Federal and state regulations require specific loan disclosures delivered to your buyer within strict time frames. These disclosures are vital to compliance with regulations and must be included. Let us keep track of the disclosures for you. Smart lenders don't skip credit checks. Avoid potential risks by having your buyers credit examined to determine creditworthiness and risk to the life of your note. A mature note is more valuable and more marketable. Receive documentation of the loan terms, fully amortized loan schedule, and important loan information in a professional and organized package for you to hold in your note portfolio. Investors are required by the Dodd-Frank Act to determine a buyers ability to repay a loan based on industry standard guidelines. Let our company track down W-2s, bank statements, and other income verification to keep you in compliance with the law. As investors ourselves, we understand your needs and are here to make your business even better. Our co-founder, Tom Berry, has been investing in Houston real estate for many years. Also a co-founder of Investor Loan Source, Tom understands the regulatory environment for local investors and the hang-ups that devalue notes investors create. 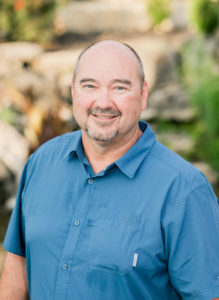 In addition to continuing to increase his rental portfolio, Tom manages Edgewater Realty, a full-service brokerage located in La Marque; and Galco Properties, a Real Estate Wholesaling company. With his expertise in the Real Estate Investing market, Tom is dedicated to bringing the tools, services, and resources needed to this under-served market. Leighanna Lucas is a licensed RMLO (NMLS ID 1781251) and co-founder of Lone Star Origination. 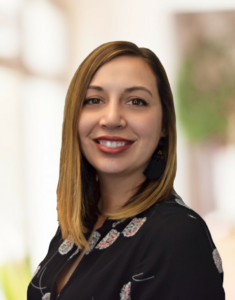 Investor friendly and personable, Leighanna is here to assist with all your owner finance questions and to help you understand how to create owner finance notes that are not only marketable assets but, also compliant with federal and state regulations. Contact us today and let us help with your next project!